After the Schism, certain Greek Fathers saw clearly where the "innovations" of Western Christianity were leading. Centuries later Dostoyevsky drew the same conclusions about the West: "Roman Catholicism is no longer Christianity (1) ... Catholicism is a non-Christian faith ... The Catholicism of Rome is worse than atheism ... Atheism teaches nothingness, but Catholicism goes further; it teaches a distorted Christ who is Christ's opposite. It proclaims the anti-Christ" (2). Dostoyevsky is widely admired in the West, but most readers ignore this passage, regarding it as a typical piece of Russian hyperbole. (3) They prefer to see this as an incidental criticism or "confessional" comparison. But it is the crux of Dostoyevsky's analysis. He is making a positive point that sheds a relentless light on the Western distortions. His work as a whole attempts to set the Church's Christ against the distorted version of Christ prevalent in the West. 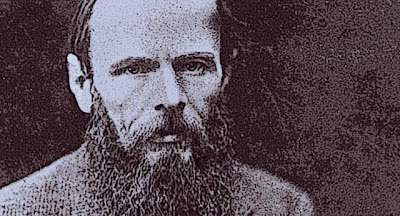 Dostoyevsky's novels reflect the historical experience of his age, the experience of Western expansion into the Orthodox East. The most celebrated expression of this is in Ivan Karamazov's fable, the "Grand Inquisitor", (8) which exposes the inner logic of the Western innovations. Dostoyevsky remains the best guide to the experiential differences between Orthodoxy and the West. 1. Dostoyevsky, The Posessed II.1.8. 2. Dostoyevsky, The Idiot IV.8. 3. See e.g. Guardini (1964) 177ff. 4. Dostoyevsky, The Idiot IV.8. 5. Dostoyevsky, The Possessed II.1.8. 6. Dostoyevsky, The Idiot IV.8. 7. Dostoyevsky, The Brothers Karamazov II.5. 8. Dostoyevsky, The Brothers Karamazov V.5. From Orthodoxy and the West, Holy Cross Orthodox Press, pp. 43-44.